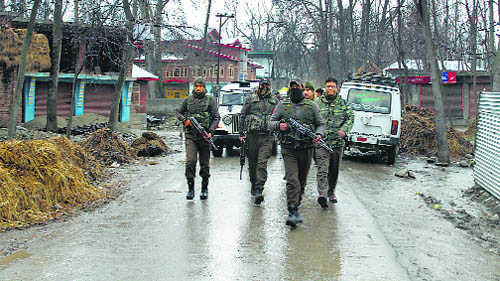 The Armed Forces Special Powers Act, (AFSPA) providing special powers to the armed forces, was first invoked on July 5, 1990, when the entire law-and- order machinery collapsed and normal laws were found inadequate to deal with the rising graph of armed militancy. At that time, the writ of the government had become virtually non-existent and the terrorists operating as “mujahideen” (warriors) had hijacked the system. THREE deadly strikes on the same day — Friday, June 27 — in three different continents, without any strong evidence of a central command and direction, should be demoralising to all those working to strike a decisive blow at international terrorism. Coupled with the successful thrust of elements affiliated to the ISIS in the Sinai region of Egypt that immediately followed, there is everything to suggest that we are in for major catastrophes, not merely in the Middle East but across the globe, in the near future. The woeful lack of advance intelligence, especially at the micro level, to quell those striving to destroy peace all over the world in the name of religion is a great worry. Recent trends make the scene murkier and more dangerous than before. APGiven the constraints all U.S. Presidents operate under, and given the additional burden Barack Obama carries because of his race, his recent winning streak is both unusual and likely temporary. At a function in New Delhi to mark the 40th anniversary of the Emergency, the finance minister, Arun Jaitley, recounted a conversation he had with the former Supreme Court judge, H.R. Khanna - the dissenting judge in the infamous habeas corpus case - during the course of a leisurely morning walk sometime in the late-1990s. Khanna apparently told him that the astonishing admission of the attorney general, Niren De, that the Emergency regulations meant that the right to life was at the mercy of the State was prompted by a leading question he asked from the bench. To drive home the point that natural justice was above the suspension of fundamental rights, Khanna asked the government counsel whether the Emergency could deny someone the right to life as also mentioned in Article 21. The question was as much aimed at the attorney general as the brother judges. However, as Khanna lamented, the rest of the bench headed by the then chief justice, A.N. Ray, sat there stony-faced and expressionless. "It was at that point I knew which way the verdict would go." Abstract :In the context of the enormous cost of building and operating conventional launch vehicles based on chemical fuels, there is a worldwide quest to develop reusable space vehicle that could render space journey routine and affordable. The only reusable space vehicle, the US space shuttle, was phased out in July 2011 after it was realized that it wasnot only costly and technologically complex but also far from safe to ferry humans. India has now joined the race to build its own reusable space vehicle along with the front ranking space faring nations including USA and Russia. While the release of Pakistan's new defense budget went unremarked in Washington, the country's importance demands an in-depth review. It should come as no surprise that the release of Pakistan’s federal budget on June 5 went unremarked in Washington. Nevertheless, Pakistan’s budget—particularly its defense budget— will quietly attract the attention of American officials and analysts who work this issue because important U.S. interests are engaged in Pakistan. Pakistan is a large country with the potential to enjoy robust economic growth and attract foreign investment. It is a front-line state in the fight against violent extremism, and it is one of the world’s nuclear powers. The United States, in other words, wants Pakistan to succeed. Its national budget can help or hinder success. From the European left-wing militants of the 1970s to Pakistani fundamentalists today, guilt has been a powerful driver. There is a very interesting chapter in Blood and Rage, British author Michael Burleigh’s hefty and comprehensive book on the history of terrorism. The chapter is about the rise (and fall) of left-wing terrorism in European countries and the United States in the late 1960s and across the 1970s. Burleigh correctly reminds the reader that the Marxist and anarchist terror outfits operating at the time in Europe and the US were largely groups that had emerged from the collapse of the widespread student uprisings that had erupted in the West in the 1960s. This meant that the Western terrorist outfits of that time were almost entirely being operated by the well-educated urban middle-class youth. If the United States and China ever got into a shooting war, it might look a lot like "Ghost Fleet," a new book co-written by Washington think-tankers. Set up as a novel told from the perspective of, alternately, a Navy captain, a U.S. Marine-turned-insurgent and an occupying Russian official, among others, "Ghost Fleet" explores how our military's reliance on digital technology is both an asset and a liability. I spoke last week to co-author P.W. Singer, a researcher at the New America Foundation who studies the future of warfare. Here's an edited transcript of our conversation. The book comes out June 30. What would you say "Ghost Fleet" is all about? On most days, China's high-speed rail network is for hauling millions — yes, millions — of commuters, vacationers, and tourists around the country. But on May 14, one section of the growing network served a very different purpose. A People's Liberation Army brigade from the Lanzhou military region boarded a high-speed train and set off for Xinjiang — 300 miles to the west. Beijing has nearly completed building a 3,000-metre (9,800-foot) airstrip on a reef in disputed waters in the South China Sea, where tensions are mounting with its neighbours, a US think-tank said. The South China Sea is home to strategically vital shipping lanes and is believed to be rich in oil and gas. The modern Japan Maritime Self Defense Force trace its roots to the Imperial Japanese Navy. Established in July 1869, the Imperial Navy was one of the first formal institutions—military or otherwise—of a new, modern Japan. The current-day Maritime Self Defense Forces (MSDF), created during the 1950s, is the result of lessons learned during World War II. The American blockade of the Home Islands led to widespread hunger and economic decline. Modern Japan is still heavily reliant on secure sea lanes, and the MSDF was geared heavily toward anti-submarine and anti-mine warfare. The end of the Cold War did little to change that. (social media) The US and other Western countries have been alarmed at how the Islamic State militant group has been able to lure teenagers and young people to the Middle East to join its ranks. The Times notes that the tactics are similar to those laid out in an Al Qaeda manual called "A Course in the Art of Recruiting." Though ISIS and Al Qaeda are now two separate organizations, ISIS recruiters seem to follow many of the same basic guidelines for luring people into their group and indoctrinating them. And with the rise of social media, reaching these recruits across the globe has become even easier. Separate reports this week indicated that Islamic State fighters were smashing cultural relics in the ancient city of Palmyra, once one of Syria's most crowded tourist destinations, but now in the grips of the extremist organization. The jihadists consider representations of divinity, especially those from pre-Islamic times, to be heretical and worthy of destruction. According to Syria's director of antiquities, Maamoun Abdelkarim, the militants this week hacked apart the famous Lion of al-Lat, a limestone statue dating back to the first century B.C. that had been placed outside Palmyra museum. David Cameron calls Isil an “existential threat” to the Western way of life. On the face of it, that seems ridiculous. How could a bunch of relatively poor, ill-armed fanatics and psychopaths conceivably topple what remains the most dominant civilisation since the Roman Empire? In physical terms, they can’t (yet). We in the West have much more money, many more weapons (though here in Britain, we have been doing our best to weaken ourselves militarily) and greatly superior technology. While Islamist fanatics can murder 30 British tourists on a North African beach, we can probably intercept enough of them here to keep their activities below a certain level. Despite the onslaught of video propaganda, it is time to rise above the sweeping generalisations about how the threat from the Islamic State is new and profoundly different. As policy makers and analysts wrestle with how to respond to the advancing Islamic State in Iraq and Levant extremists – also known as the Islamic State Iraq and Syria and the “Islamic State” – there is a danger of falling victim to a pervasive disease in international politics which might be called “recent-ism.” This is the difficult-to-resist temptation to look no further back than the most recent crisis or analogy to develop policy. “Recent-ism” affects counter-terrorism, too. It’s easy to get caught up in sweeping generalisations about how the threat is new and profoundly different. Agonising talks towards a grand bargain nuclear deal between Iran and major powers looked set Thursday to drag into the weekend and beyond, with stubborn differences still separating the two sides in Vienna. There was little indication meanwhile whether the head of the UN atomic watchdog had made any progress in Tehran on one of the main sticking points: a probe into allegations of past nuclear weaponisation work. French Foreign Minister Laurent Fabius said late Thursday at the end of a sixth day of negotiations involving US Secretary of State John Kerry and an army of other diplomats and experts that some progress had been made. "Things have advanced but we have not yet reached the end," Fabius told reporters. After decades of fruitless campaigning at home and abroad, a group of South Korean women forced into sexual slavery for the Imperial Japanese Army are seeking restitution in a Californian court. Twelve former “comfort women” were due to file a $24 million civil suit against Japan and a number of Japanese firms on July 1, unless Japan agreed to compensation and an apology, according to Yonhap News Agency. But, as non-U.S. citizens suing foreign entities, how likely is it that they’ll find satisfactory redress in a U.S. court? Not very, according to two U.S. experts in international law that spoke to The Diplomat. While each was keen to stress that they didn’t have details of the case beyond news reports, they both indicated a low chance of success due to jurisdictional issues. ISIS is seeing some significant setbacks in Syria. 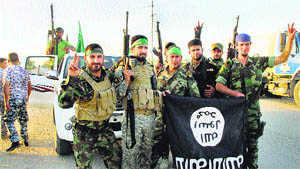 Its de facto capital, the Syrian city of Raqqa, is under serious threat from Kurdish (YPG) troops. ISIS "is barely surviving in Syria," Yasir Abbas, an associate at the private research and consulting firm Caerus Associates, told me last week. "It is struggling to halt YPG advances and is out of low-hanging fruit [to seize]." Fisher does brush over a few things. He says Cold War leaders considered limited nuclear war, in which tactical nuclear warheads would be used on the battlefield rather than 'strategically' against population centers and cities, as 'unthinkable' and that they thought this type of conflict was not survivable or winnable. Not all Cold War leaders thought this, and there were significant debates throughout the period about escalation control and different theories about how each side would interpret the use of a nuclear weapon on the battlefield. But incidents like the close call during the Cuban Missile Crisis, when a Soviet nuclear torpedo was almost fired at a US aircraft carrier, eventually proved to many the need for limits on tactical nuclear weapons. By the end of the Cold War, there was consensus that tactical weapons were inherently destabilising, and this led in part the Intermediate-Range Nuclear Forces (INF) Treaty in 1987. Months before July 4 arrives, American diplomatic missions all over the world begin planning celebrations involving countless thousands of guests, mountains of refreshments, and difficult logistics problems, all aimed at making the day an appropriate commemoration of American Independence. This year’s festivities will be further complicated by increased security challenges, and by the fasting month of Ramadan. Diplomats should remember, however, that despite the tension felt as the day approaches, there will be poignant and even humorous memories later. With the loss of power for the Danish center-left party of Helle Thorning-Schmidt, the European moderate left is in crisis. Few left-wing governments remain. Left-wing parties, leftist think tanks, and leading politicians all wonder where it went wrong. They might start by asking themselves why they have remained so silent on the one centerpiece of their ideology that sets them apart from the rest: solidarity. Politics has always been a game of chicken or egg. Do you stick with your convictions, or do you follow whatever direction a majority of the electorate is taking? In the past 20 years, the left and right across Europe have converged on the political center, leading moderate left-wing parties to adopt policies from the moderate right, and vice versa. Almost 70 years ago, a new world order was born from the rubble of World War II, built by and around the power of the United States. Today that world order shows signs of cracking, and perhaps even collapsing. The Russia-Ukraine and Syria crises, and the world’s tepid response, the general upheaval in the greater Middle East and North Africa, the growing nationalist and great-power tensions in East Asia, the worldwide advance of autocracy and retreat of democracy—taken individually, these problems are neither unprecedented nor unmanageable. But collectively they are a sign that something is changing, and perhaps more quickly than we may imagine. They may signal a transition into a different world order or into a world disorder of a kind not seen since the 1930s. If a breakdown in the world order that America made is occurring, it is not because America’s power is declining—America’s wealth, power, and potential influence remain adequate to meet the present challenges. It is not because the world has become more complex and intractable—the world has always been complex and intractable. And it is not simply war-weariness. Strangely enough, it is an intellectual problem, a question of identity and purpose. All over the world, there is a growing sense that conflict is spreading from the physical realm to the virtual domain. The 2007 cyber attacks on Estonia, the military use of cyberwar techniques in the 2008 Russo-Georgian War, and the act of "cybotage" committed against Iran’s nuclear program using the Stuxnet worm are but a few of the most salient signs of a growing trend. And these likely form just the tip of an iceberg, as cyber attacks and counter-attacks ongoing between combatants can be observed in many other places, from Ukraine to the Middle East, and on to East Asia and beyond. Thus it is high time, as this new mode of conflict diffuses in breadth and deepens in intensity, to think through the ethics of cyberwar. July 4, 2015: A respected Russian Internet security firm (Kapersky) recently revealed that it had found new spyware software in three hotels used by delegates to negotiations with Iran over sanctions and the Iranian nuclear weapons program. The spyware was described as a much improved version of Duqu and that Israel was probably behind this. Israel denied any involvement but this is actually an old story. In 2012 Internet security researchers accused Israel of a similar stunt when new spyware was found throughout the Middle East. Similar to Stuxnet and Duqu (both created by a joint U.S.-Israeli effort for use against Iran), the new spyware was called Gauss, and it was used to monitor Hezbollah (an Iran backed Lebanese terrorist group) financial activity. Gauss was apparently unleashed in 2011, and had already done its job by the time it was discovered. Hackers Installed Sophisticated Malware on U.S. Computers. Why Doesn’t Anyone Care? @sage_solar/FlickrFor years, cybersecurity hawks have painted grim pictures of a "cyber Pearl Harbor," when sophisticated hackers will be able to infiltrate and commandeer critical U.S. networks to wreak whatever havoc they choose. Yet for some reason, when the most advanced cyber-espionage malware known was discovered on American systems, the usually indefatigable "tough on cyberterror" crowd was quiet. The malware was made public in June, when Russian software security firm Kaspersky Lab rocked the information-security community by revealing that a powerful computer worm—similar to the 2010 Stuxnet virus—had been unleashed on computers in America and around the world roughly one year prior. The new malware, called "Duqu 2" for its apparent succession to 2011’s Duqu worm, alarmed info-security professionals with both its unprecedented strength and audacious targets. For months, attackers deployed frighteningly sophisticated espionage technology to secretly spy on all sorts of parties involved (however tenuously) in the ongoing Iranian nuclear negotiations, including government leaders, telecommunication and electrical-equipment companies, and impartial researchers. The huge theft from the Office of Personnel Management comes after years of Obama administration passivity despite repeated digital attacks. The Obama administration disclosed this month that for the past year China had access to the confidential records of four million federal employees. This was the biggest breach ever—until the administration later admitted the number of hacked employees is at least 18 million. In congressional testimony last week it became clear the number could reach 32 million—all current and former federal workers. The Chinese hackers managed to gain “administrator privileges,” allowing them full access to the computers of the U.S. Office of Personnel Management. Among other things, they were able to download confidential forms that list “close or continuous contacts,” including those overseas—giving Beijing a new tool to identify and suppress dissenters. A Defense Department Web system that tracks employee background investigations will be offline for an unspecified amount of time, while officials fix security holes in a civilian-agency database connected to the tool, according to department officials. A vulnerability in an Office of Personnel Management tool that links to the Pentagon's "Joint Personnel Adjudication System" was discovered during a probe into one of the worst-known hacks to hit the U.S. government. On Monday, officials announced that OPM's e-QIP system, the online tool used for submitting background-check forms, would be taken offline for four to six weeks, during security improvements. As of 3:30 p.m., the military's site stated: "Due to current maintenance with e-QIP, the corresponding JPAS interfaces are not currently functioning. As a result, users will not be able to submit investigations using JPAS." Is the White House Skirting Governmentwide Cybersecurity Rules? The White House's Executive Office of the President hasn't submitted reports detailing compliance with federal cybersecurity rules for the past three years, according to a letter to President Barack Obama written by the chairmen of two Senate committees with oversight of federal technology efforts. The apparent lack of annual reporting is even more striking considering the White House's unclassified computer networks were breached by hackers last fall, purportedly from Russia, leading to temporary outages as officials worked to suppress malicious activity. The letter says the office, or EOP, hasn't submitted annual cybersecurity reviews of its systems to either the Office of Management and Budget or congressional committees for at least the past three years. The last time White House results showed up in OMB's annual compilation of agency reports was in fiscal 2008, according to the letter. Annual reviews of agencies' IT security posture are mandated by the 2002 Federal Information Security Management Act, which Congress last updated in December. Independent inspectors general are also required to review agencies' FISMA compliance. Recent cyber attacks on government computer systems have prompted the Marine Corps to speed up its plans to transition from a Corps-centric security credentialing system to a Defense Department-wide system spelled out in April. In a July 1 message, Brig. Gen. Kevin Nally, C4 director with Marine Forces Cyberspace Command at Fort Meade, Maryland, said all system administrator and privileged user accounts on Corps systems, networks and enclaves must be changed to use DoD public key infrastructure credentials or smart cards. Public key infrastructure, or PKI, is the security architecture for validating the identities of individuals or systems accessing information stored on and moving through a network. As part of their routine combat training, Army brigades will be more rigorously challenged to fight enemies in cyberspace. This new twist in combat training is part of a broader strategy to bolster Army skills at defending networks and to elevate the importance of cyber operations in war fighting, said Ronald W. Pontius, deputy to the commanding general of U.S. Army Cyber Command. “We are working on truly integrating cyber operations into unified land operations,” Pontius told National Defense in a recent interview. The plan is to experiment with several brigades, study the results of the training and figure out how cyber warfare fits in the big picture of combat operations. U.S. manufacturers have hailed the Obama administration’s six-year effort to ease the red tape for exporters. Defense companies that make products with commercial applications especially have benefitted from reforms that have sought to draw a clear distinction between technologies that are uniquely military and those that are dual use. One of the key goals of the reforms was to specify what items are regulated as “defense articles” by the State Department — as opposed to commercial products regulated by Commerce — and end the ambivalence that has vexed exporters. So it might come as a surprise to Pentagon contractors that a new rule that affects electronic equipment would by default classify as a “defense article” any electronics developed with Defense Department funding, regardless of whether the technology is a sensitive military system or intended also for civilian applications. The United States’ military must find a way to accomplish its strategic objectives during wars among populations. The doctrine we implemented in Iraq and Afghanistan was premised on a number of assumptions that, carried to their logical conclusions, created overly ambitious methods for the pursuit of strategic objectives. This led to a campaign that was too costly for the meager results attained. Chief among those assumptions was the belief that host nation government legitimacy is the best way to defeat an insurgency. Our faith in legitimacy comes from an ill-founded use of civil wars as models for expeditionary counterinsurgencies. The pursuit of host nation government legitimacy was an expensive endeavor. Between October 2001 and April 2014, we spent $686 billion on Operation Enduring Freedom and $815 billion on Operation Iraqi Freedom. Approximately 8,234 coalition service members and more than 147,000 Iraqi civilians,10,000 Iraqi Security Force personnel, 23,000 Afghan civilians, and 13,000 Afghan National Security Force personnel were killed during these conflicts. Beyond the conflicts’ readily apparent fiscal and human price, the opportunity cost of our 13-year involvement in these conflicts is incalculable. While lessons learned from the Battle of Fallujah, December 2004, have replaced the lectures on the Battle of Waterloo, June 1815, in the halls of the Army General Staff College, its relevance in interacting with multinational coalitions during joint operations remains pertinent. On its 200th anniversary, Waterloo should be a critical piece in the education of today’s US Army Officer corps as they prepare for joint and multinational service. The former British Chief of Defense Staff Field Marshal Lord Bramall called Waterloo the “first NATO operation.” Studying this joint operation imparts four basic lessons to the modern Army Officer: the need for coalition support; the inherent difficulty of fighting using a multinational coalition; the constant need to be careful of biases in multinational operations; and the necessity of obtaining and studying objective lessons learned. Toward that end, the command will jettison much of its heavy fleet, according to officials. When is the F-35 Not a Dogfighter? During mock dogfights over the Pacific Ocean in January, a U.S. Air Force F-35 stealth fighter struggled to get a clean gun or missile shot at a 1980s-vintage F-16D, according to an official pilot’s report that War Is Boringobtained. Turning the tables, the F-16 easily maneuvered behind the bulky F-35, even sneaking up on the radar-evading jet when its test pilot found his rearward view blocked by the plane’s poorly-designed canopy. The obvious conclusion — America’s brand-new stealth fighter, which is on track to replace almost all of the Pentagon’s current fighters, is dead meat in a close air battle. The news was shocking, even to observers long attuned to the drumbeat of design problems, test failures and budget overruns that has characterized Lockheed Martin’s 20-year effort to develop the jack-of-all-trades F-35. But one former aviator-turned-aerospace analyst surely wasn’t surprised at all.